In spite of its rich heritage and history spanning over four centuries, Croft has never been constrained by tradition. 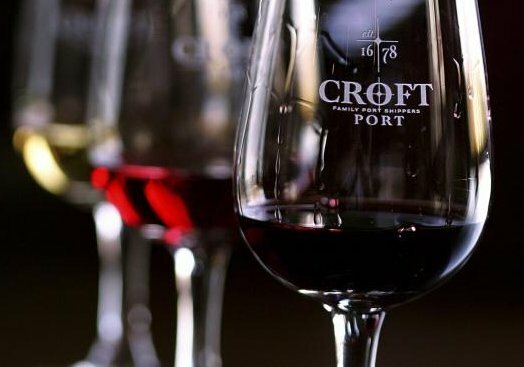 Today, as in the past, it maintains a pioneering spirit, continuing to create innovative new styles such as Croft Pink, the first ever rosé Port. Quinta de Roeda Vintage Port, MAGNUM 150cl bottles, (Prices Include UK duty VAT and UK delivery ). Price Includes UK DUTY, VAT and UK delivery. The Croft Quinta da Roeda Vintage port comes from one of the finest Douro Valley estates. Its 2015 is a fusion of a rich plump dark berry compote intermingled with warm notes of liquorice, dark chocolate and spice, elements that contribute to the wine’s opulent character.The palate is smooth, round and full of rich, jammy flavour. This wine is immediately appealing but will continue to gain in elegance and refinement between 2024-2045+. A medium-boded Croft port, the 1982 vintage port has a light and fruity aroma, backed up by delicious dark fruits on the palate with a sweetness that hints at burnt sugar at times. A well composed port that will perhaps not age as well as other vintage ports from this era, but is beautifully poised for drinking now.